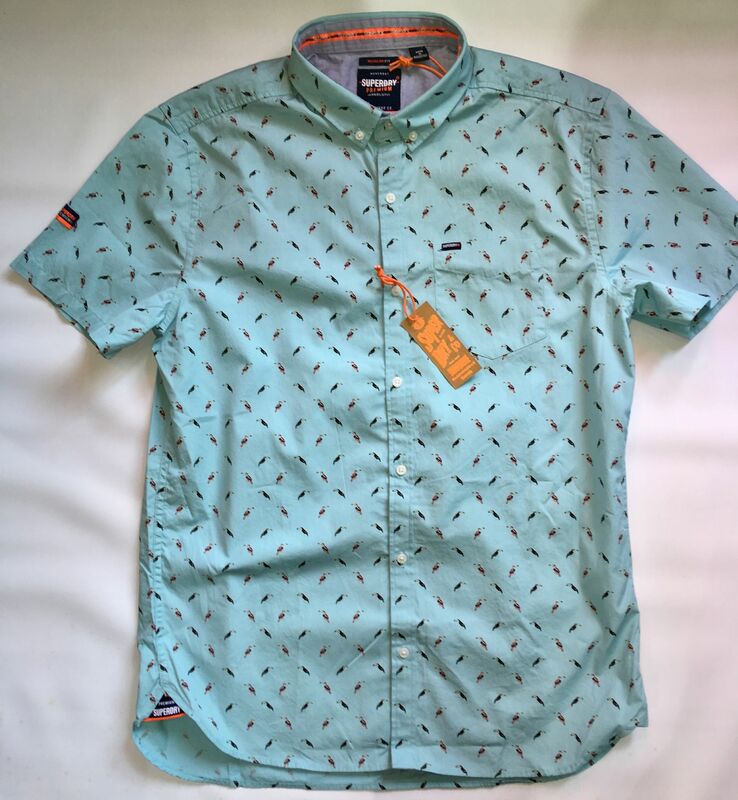 Superdry short sleeve cotton shirt aqua with toucan pattern. Slim fit with patch logo to top pocket, sleeve and side vent. Button down collar. Open pleat back with contrast bar bar tack.